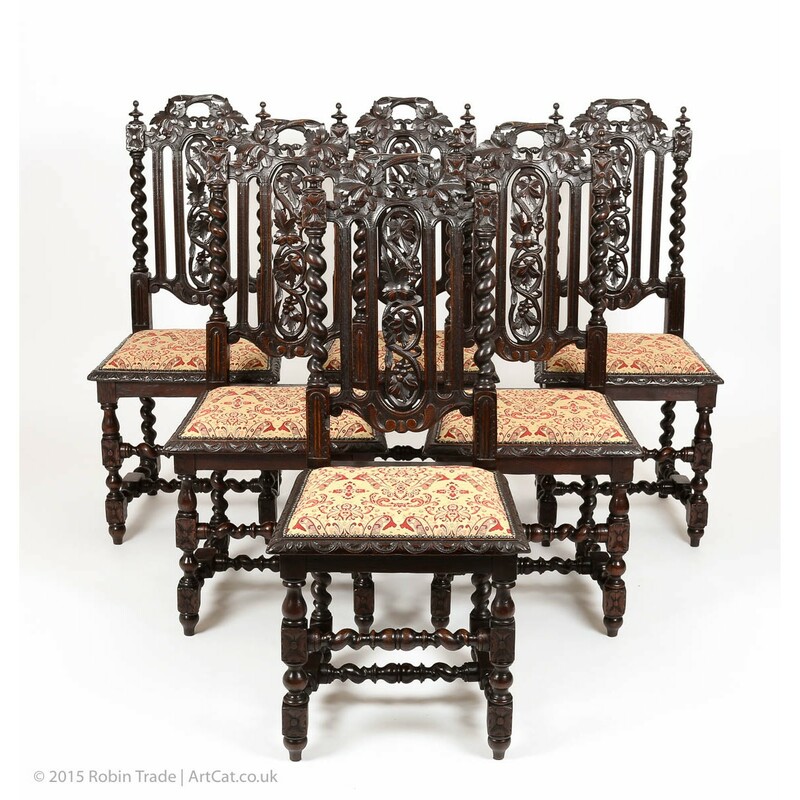 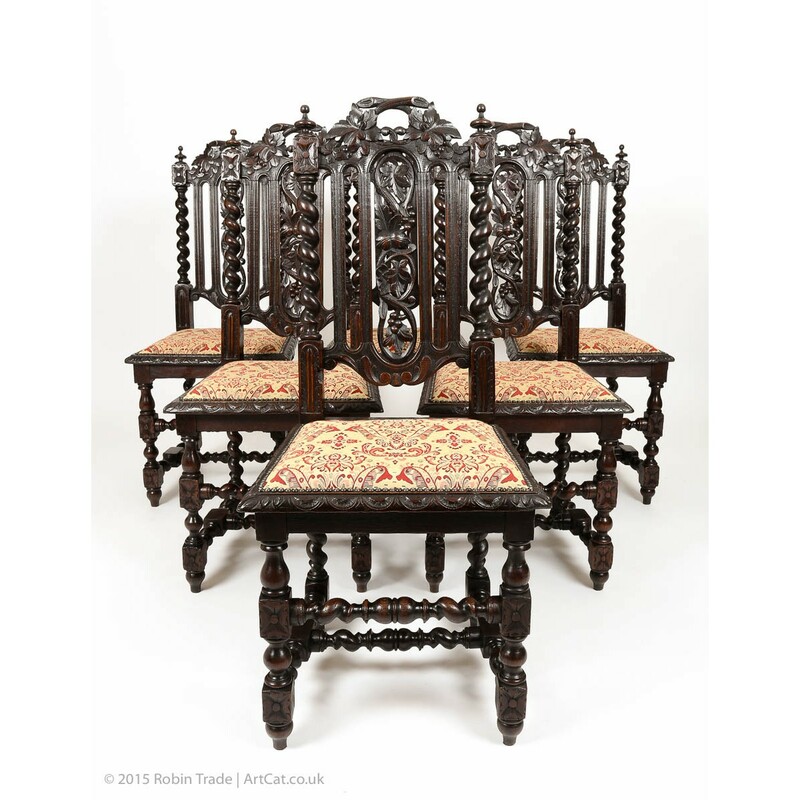 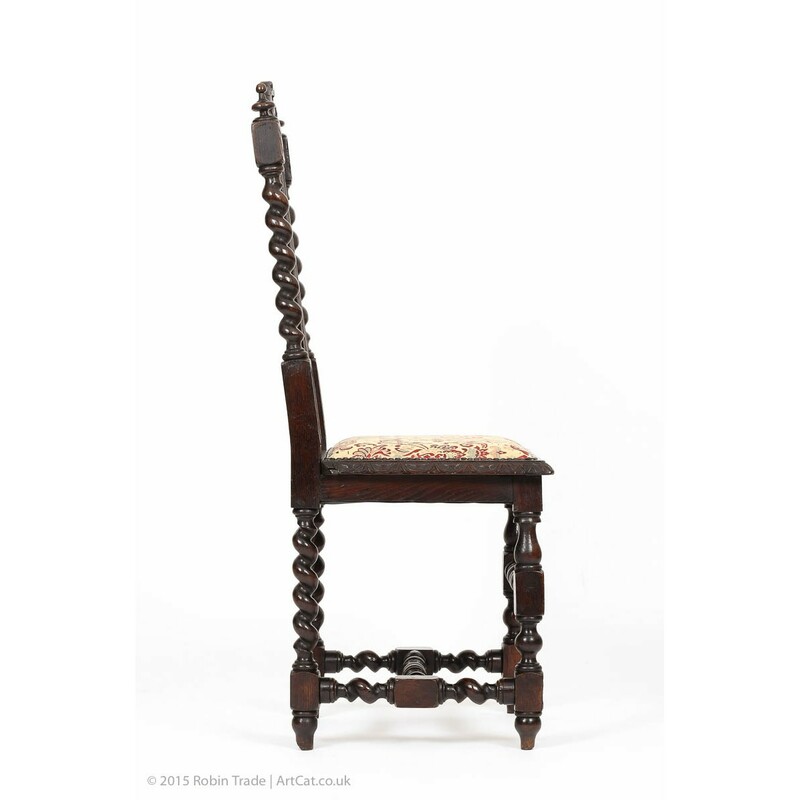 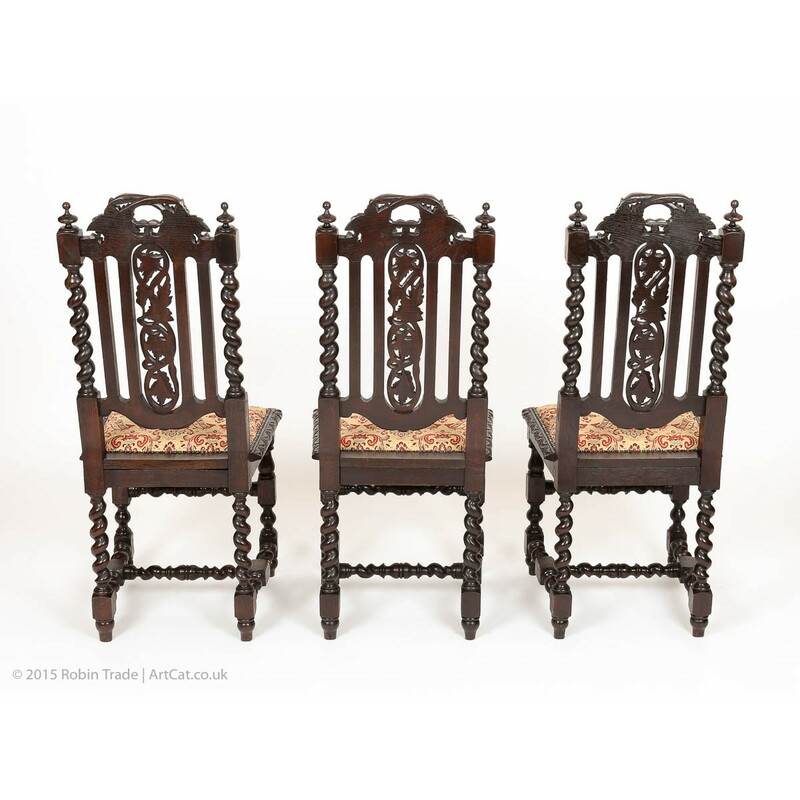 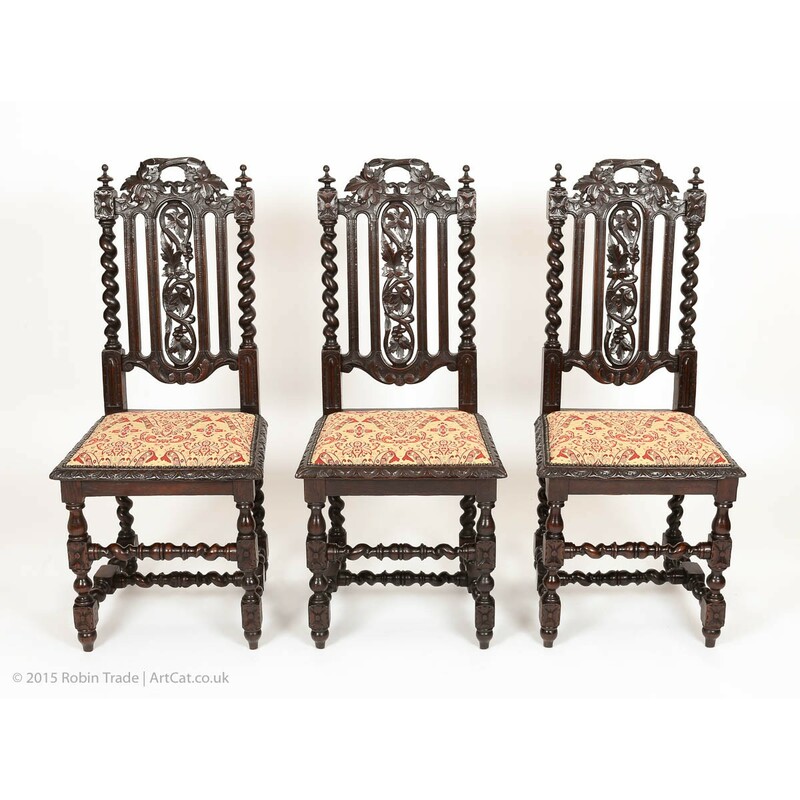 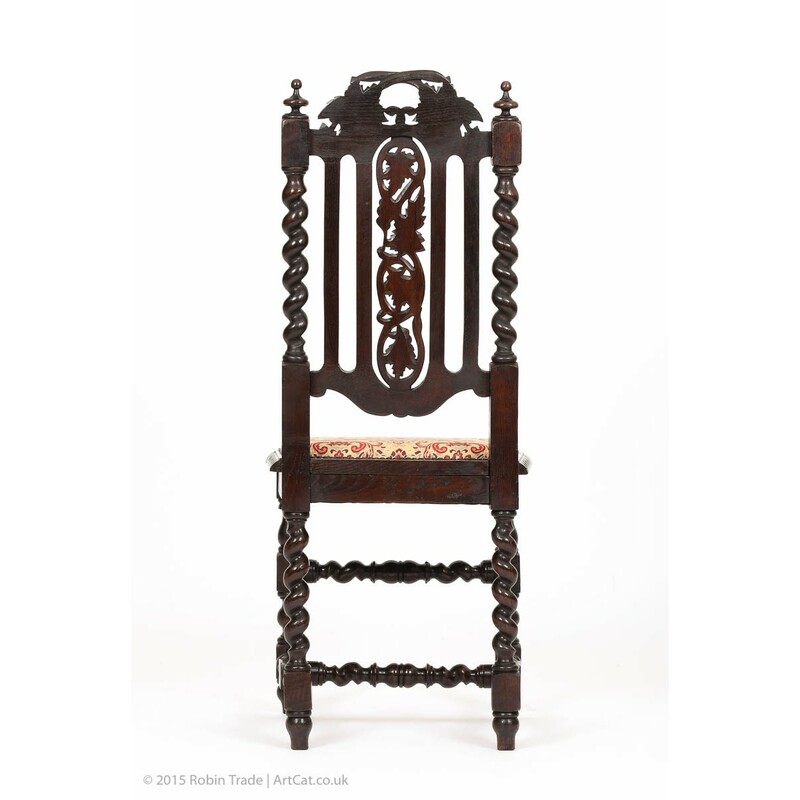 A very decorative Victorian Gothic chairs with elaborately carved backs, the side supports are barley twist and topped with finials. 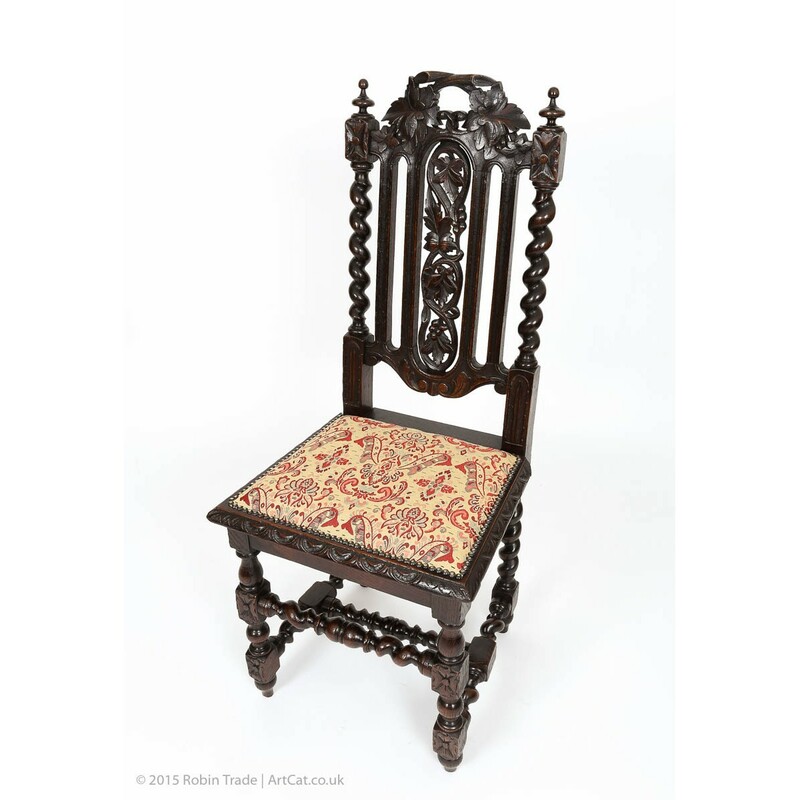 Chairs have been restored, then given three coats of wax for long lasting surface (the colour is a rich dark oak) and newly upholstered with elegant, high quality red and gold floral damask design fabric. 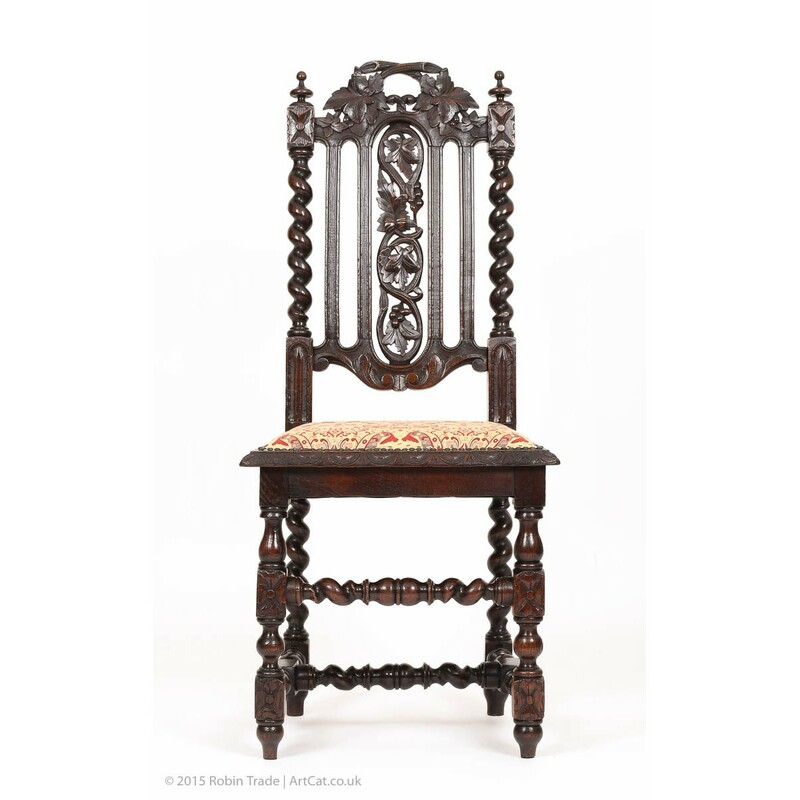 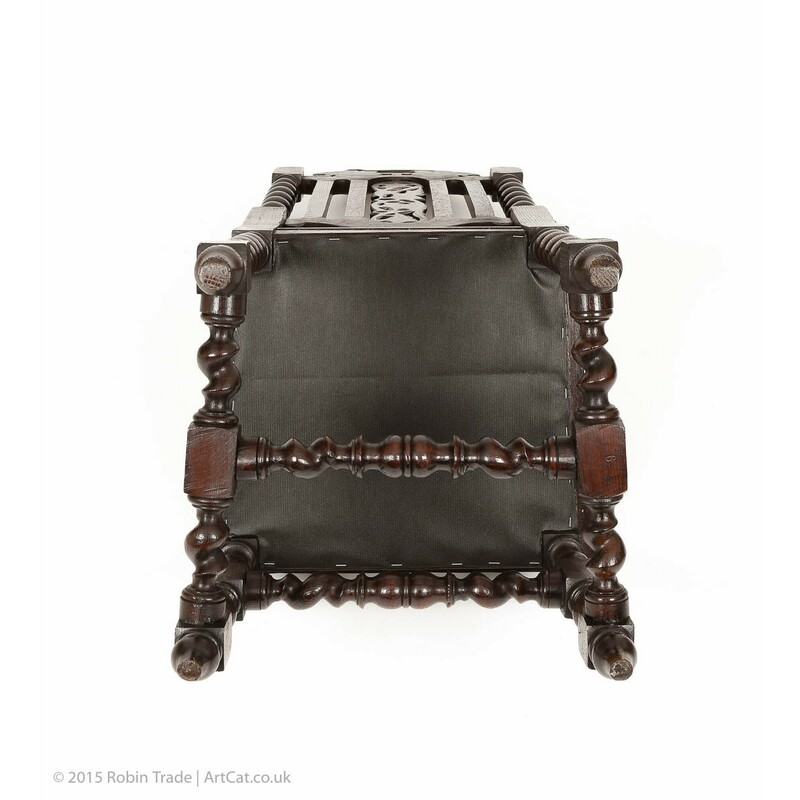 Made of oak with lots of charm and character-17th century style. 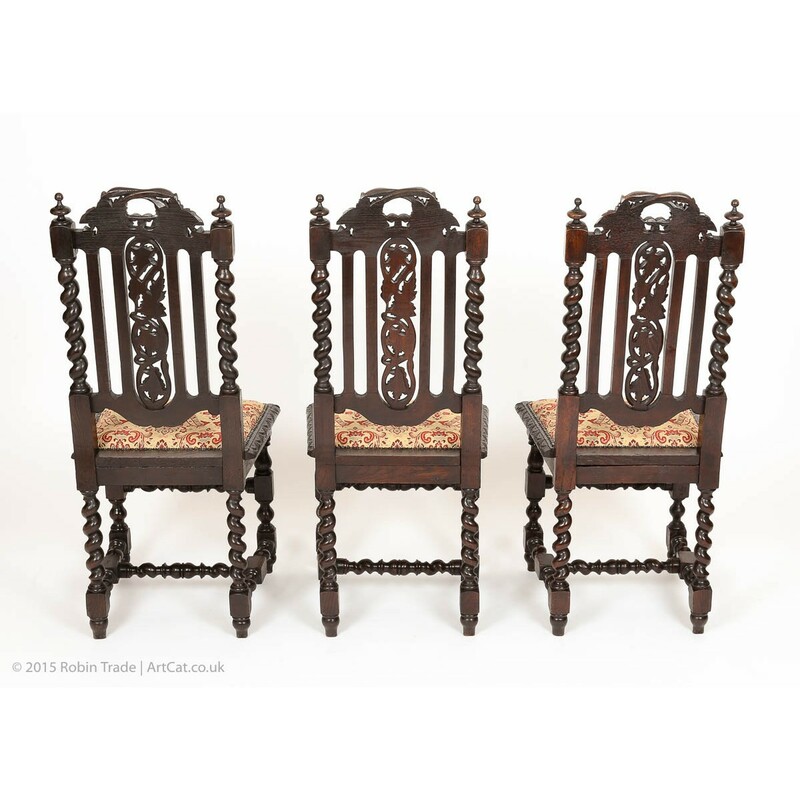 The chairs are in very sound condition with no loose joints. 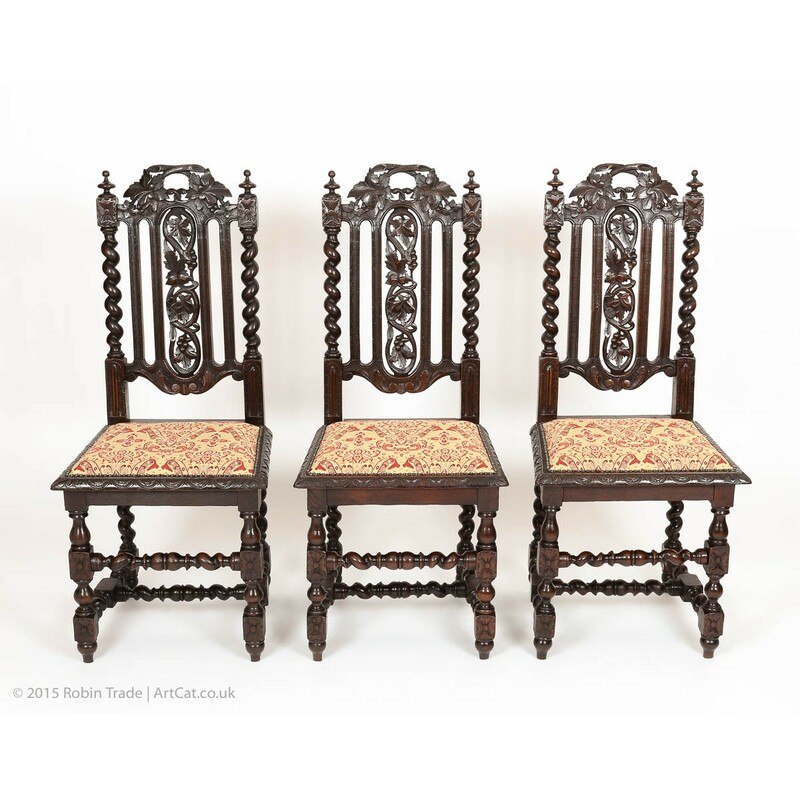 Please also see our next listing - a Large Victorian Carved Oak Wind Out Extending Dining Table which would match these chairs very well.